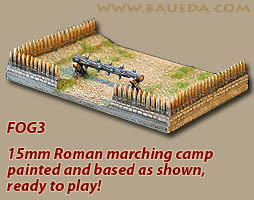 15mm Roman Marching Camp for FOG AVAILABLE NOW! 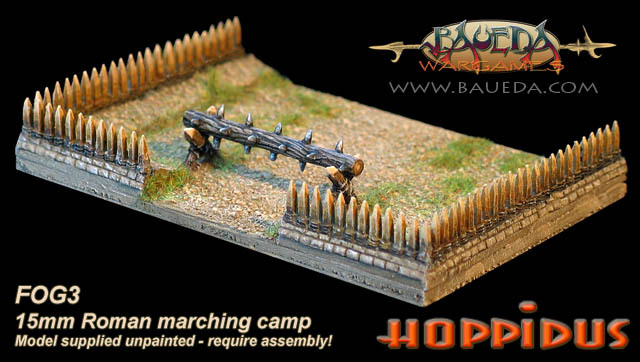 This is a model kit of perimeter fortifications for a Roman Marching Camp, designed specifically to be used with Field of Glory™ rules. 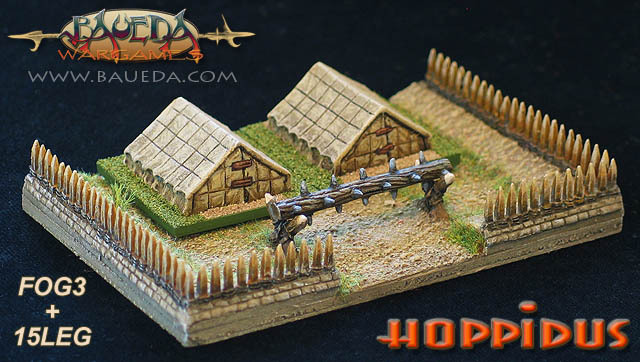 This set contains a selection of all the modules you need to recreate this temporary fortification, such as those erected by the Roman army every evening when on campaign. 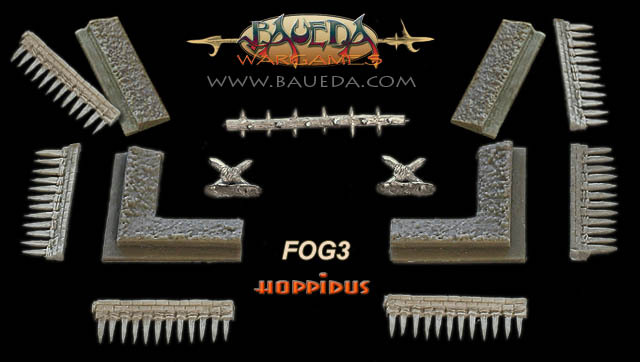 HOPPIDUS is a truly modular system, and all elements of this set are compatible with the rest of the range. 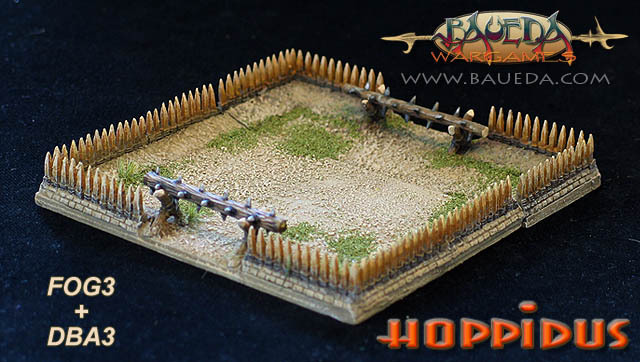 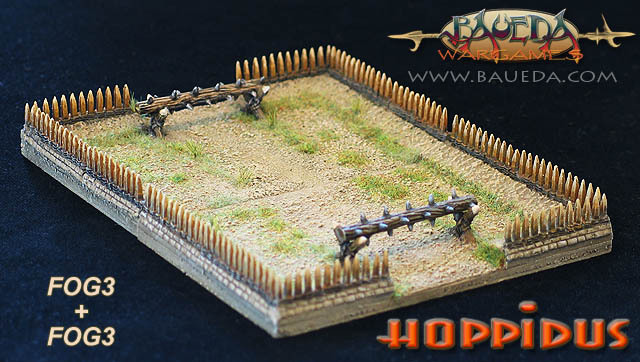 This means you can also add more elements from the complete HOPPIDUS range to expand and customize this basic set, for example adding a DBA3 Roman Marching Camp set to the back, to make a completely enclosed fortified perimeter that can be used for a scenario game or as a Build Up Area!